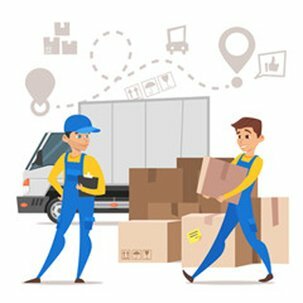 Move My Stuff is a leading preference for Melbourne customers for house & apartment moving, office moving, office relocations and business deliveries. With several years of experience, industry knowledge and lots of satisfied customers, let us help you with your next move! Since our inception in 2007, we have been operating from Melbourne and aiming to provide excellent and high quality moving services at affordable price. Our main objective is to cater to all the moving requirements of our clients and we make efforts to provide simple and cost-effective moving service to public and businesses around the city. Since every move is different, we ensure that we tailor your move and work around your specific requirements. With depots in multiple locations and trucks all over Melbourne, we do not charge any depot charges to all suburbs within Melbourne Metro area. We provide quality service, excellent reliability at very competitive rates. It cant get better than that. Your property is always covered for any loss due to our negligence. Rest assured. At Move My Stuff, we are all about fair terms. We don’t have a minimum number of hours that we bill for. If your move is a small one, we welcome that too. In an event where we have caused any damage to your goods or home, rest assured as you are fully covered with all our moves. We loved the service from move my stuff, the team worked quickly, were excellent packers, and even gave us a few blankets to protect our items in storage. That’s now our 3rd move with Move My Stuff and we will definitely be using you guys again and recommending you to our friends.